Basically, the bacteria from probiotics line our digestive tract, from where it assists the body in its absorption of nutrients that fight infections. 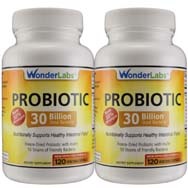 Per draxe.com, the number of probiotics in our gut outnumbers the cells throughout our bodies, by a ratio of 10-to-1. The health-inducing power of probiotics has been known for a couple of decades, but more information about this positively trending diet staple keeps coming out. 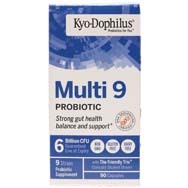 Researchers are finding that probiotics are benefitting more than just our gastrointestinal tract and immune system. Recent findings, per nutritionaloutlook.com, have found that some strains of probiotics are producing enhancements in cognition and cardiovascular health as well. One of the areas of probiotics-induced health gaining traction is the connection between our digestive system and our brain; our noggins, literally, are feeding off our guts. “The term ‘gut-brain axis’ refers to the interaction between the digestive system and the brain, and the relationship between the health of your gut and brain functions,” says David Keller, a vice president with Cleveland-based Ganeden, a probiotics-ingredients company, quoted at nutritionaloutlook.com. “We know there’s a connection, and research is being done to see how they affect each other and what those specific effects are,” Keller adds. Those strains boosting brain function are referred to as ‘psychobiotics.’ Studies have shown them possibly involved in increasing the levels of serotonin and dopamine – neurotransmitters that have been linked to mood. These particular forms of probiotics might also be able to be a catalyst for the production of a fatty acid in the colon, butyrate, that has been linked to the calming of anxiety symptoms. Some probiotics also appear able to reduce levels of cortisol, a stress hormone, in response to a stressor. Boosts the immune system. 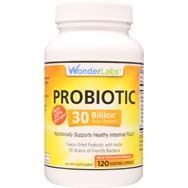 Actually, this mention might be considered redundant because, as already stated here, the primary role of probiotics is to protect the health of our gut, which is where 80 percent of our complete immune system is located – in the digestive tract. Increases our energy. This comes about from the production of vitamin B12, per draxe.com. Improves the health of our skin. Probiotics can naturally treat both eczema and psoriasis. Hmmm, this stuff really is versatile. 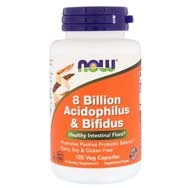 Helps in healing leaky gut syndrome and inflammatory bowel disease (such as irritable bowel syndrome). Acts as a deterrent to colds and flu. That’s nice to know at this time of year, with cold and flu season fast approaching. Improves our breath. 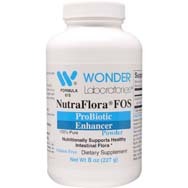 Probiotics can eliminate candida, which is a parasitic fungus that is yeast-like and can cause an assortment of fungal infections. Prevents and treats urinary tract and vaginal infections. Prevents diarrhea. 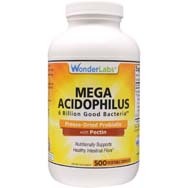 One study, per healthline.com, found that consumption of probiotics was able to cut antibiotic-associated diarrhea by 42 percent. Promotes heart health. 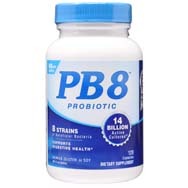 Probiotics can apparently do this by lowering “bad” (LDL) cholesterol and reducing blood pressure. It can also break down bile and thus keep it from being reabsorbed in the gut from where it would enter the bloodstream as cholesterol. Reduces the severity of some allergies. It can accomplish this for people with milk or dairy allergies by obstructing inflammatory responses, although, as healthline.com points out, more study is needed to confirm this. Newer studies that have been in progress portend other potential health benefits from probiotics consumption to include the treatment of kidney stones and colic, the treatment of liver disease, helping with (intentional) weight loss (some probiotics can obstruct the absorption of dietary fat in the intestine), managing autism and lowering cholesterol. The “good” bacteria in probiotics can even fight, and presumably defeat, the bad bacteria that causes ulcers.